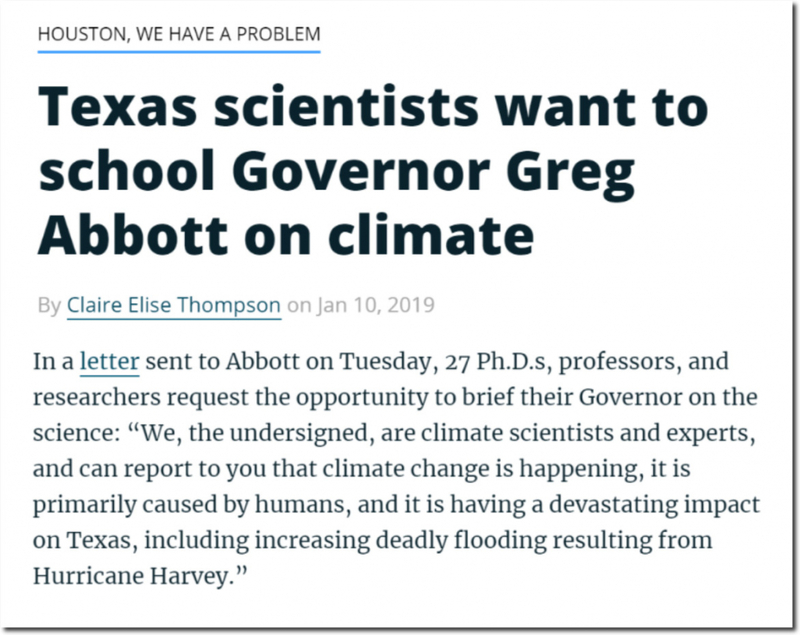 Texas climate experts say they want to “school” Governor Abbott about how global warming causes heavy rain in Texas. 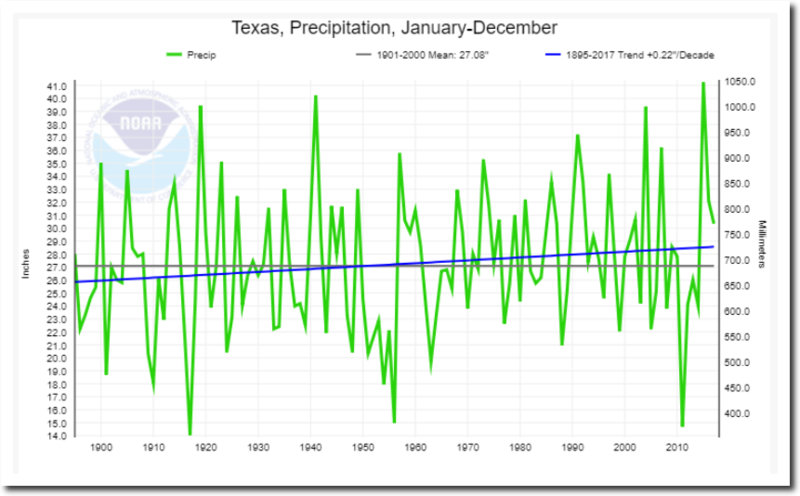 Seven years ago during a drought, the same group of climate experts said Texas would be hot and dry for the rest of the century, and they ridiculed Governor Perry for pointing out the obvious – the rains would return. Rick Perry was correct. Since 2011, Texas has been having some of their wettest years on record. The frequency of hot days in Texas has been declining for 110 years – 2011 was a hot outlier, just as 2007 was a cool outlier. 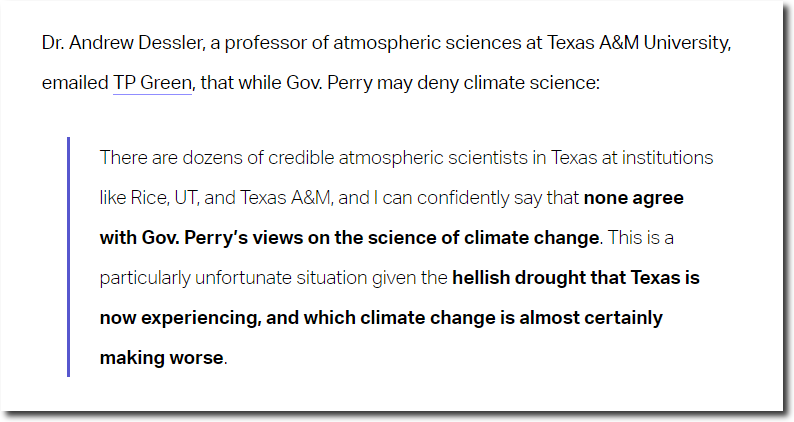 Rick Perry’s statement was based on long term observation, whereas the climate experts based their junk science on a single short term weather event. 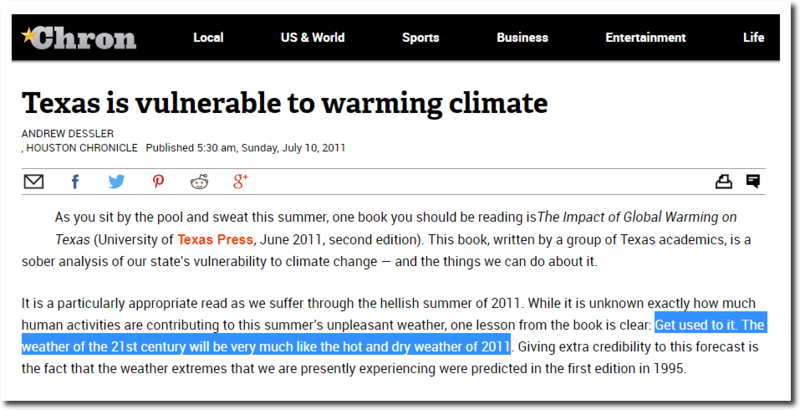 Now these same climate experts have reversed their story – based on another single, short term weather event. 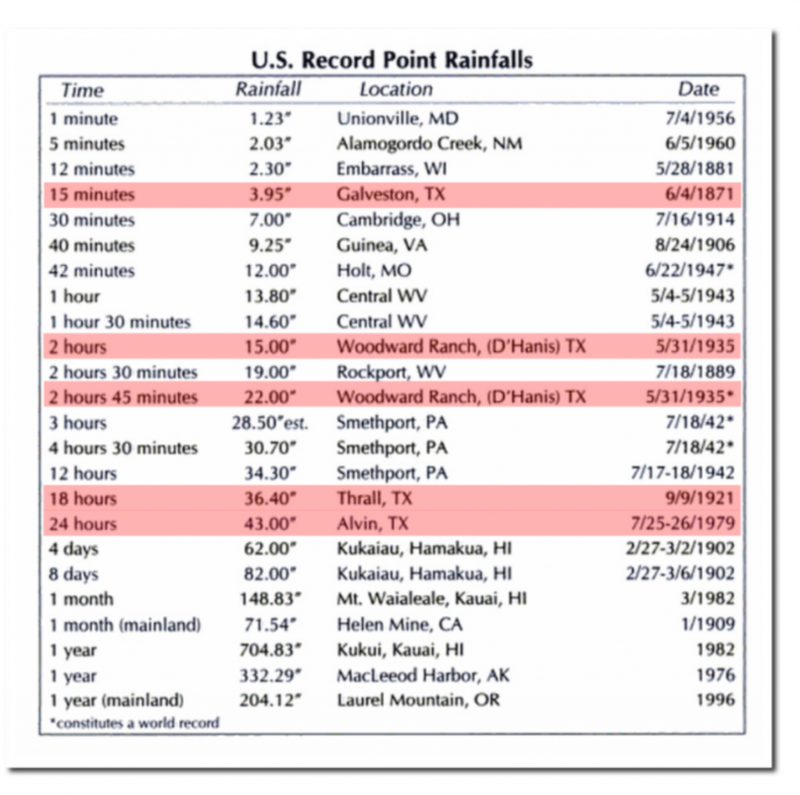 Texas holds many rainfall records, set in 1871, 1921, 1935, and 1979. Including the world record fifteen minute rainfall in 1871. In 1886 Texas was hit by four hurricanes, including one which wiped Indianola, Texas off the map permanently. 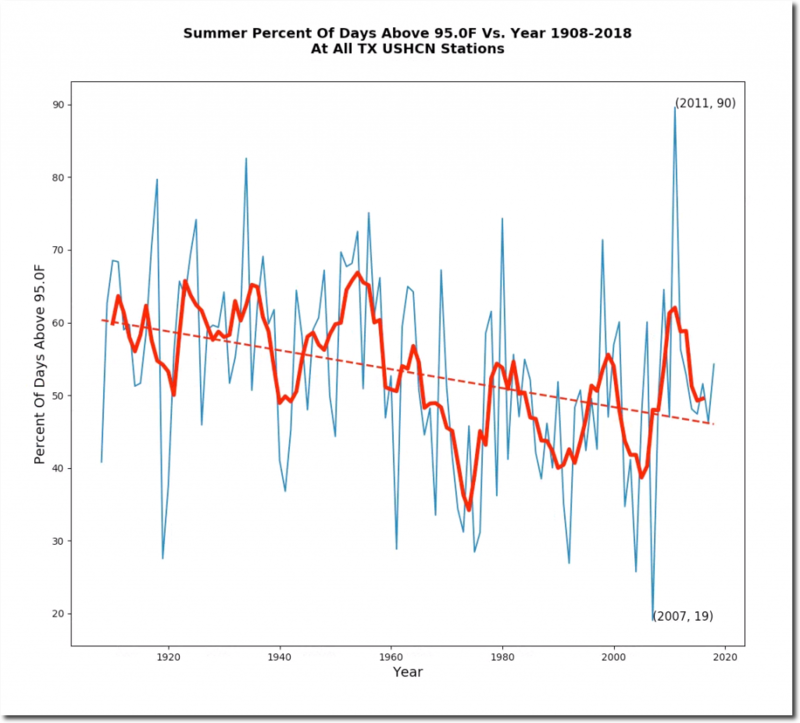 There seems to be no limit to the incompetence, arrogance and dishonesty of climate scientists. And they are attempting to drive the United States into energy poverty with their ceaseless lies.